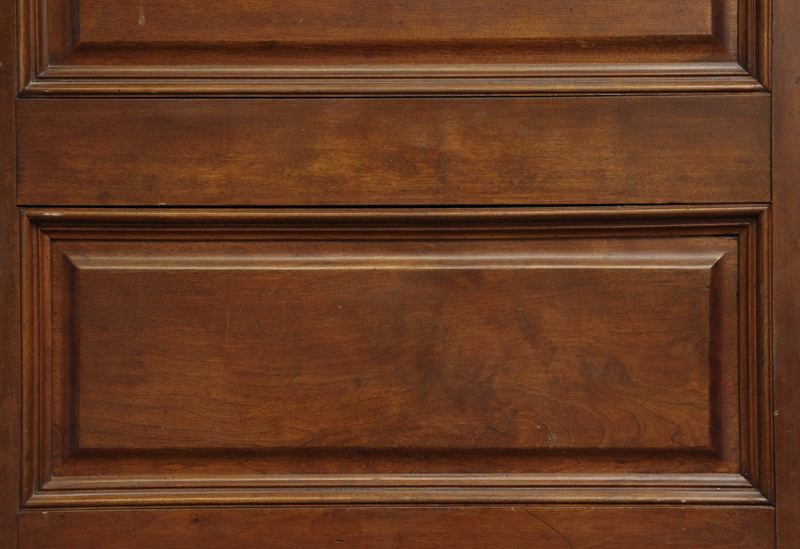 Dark tone wooden six horizontal panel door in a hard to find size. 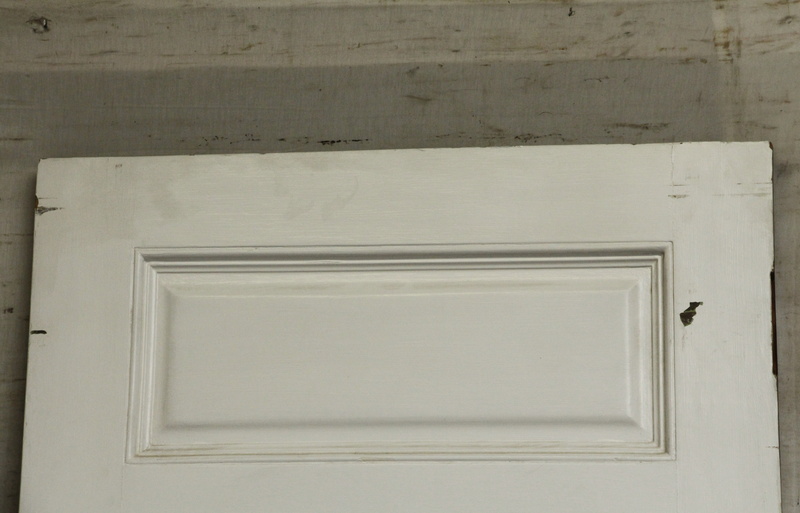 It is painted white on the opposite side. Matches N254146. One available.